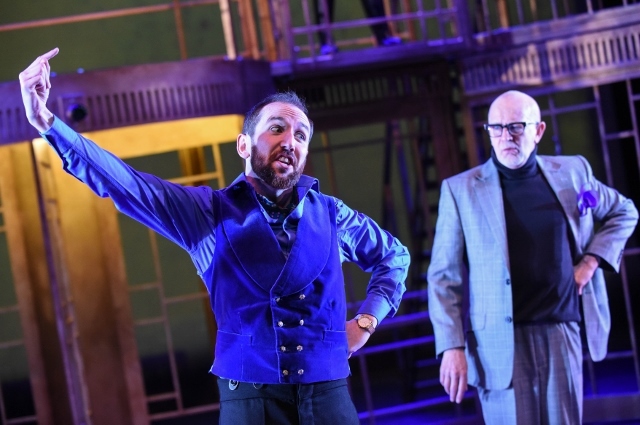 Birmingham Repertory Theatre's new production of The Government Inspector is aiming to change modern theatre. 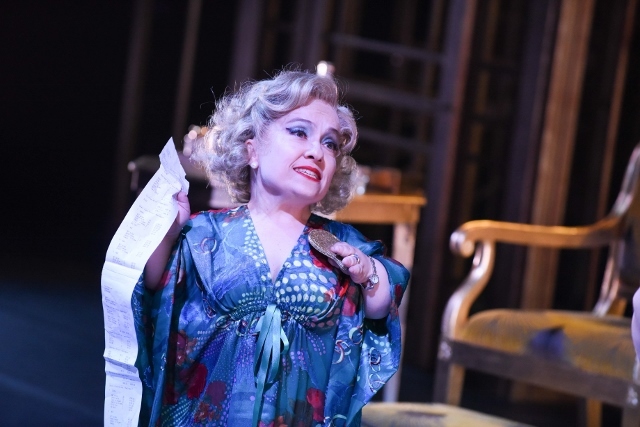 It's a tall ambition but artistic director Roxana Silbert believes it's achievable – and she believes the Gogol classic is the ideal vehicle to promote that change. She explains: "I have always loved The Government Inspector – most theatre directors love it because it's brilliantly written and crafted. IIt has been on my list of plays I have wanted to direct and this was the perfect opportunity." Perfect because the production is the first in an exciting new project called Ramps On The Moon. Bringing together a consortium of six regional theatres working alongside Graeae Theatre Company, which champions diversity in performance, the initiative will see the creation of a series of shows with a fully integrated cast of disabled and non-disabled actors which will tour all of the venues. And it's essential that these shows are the best they can be. Roxana says:"I really wanted to produce and direct a really good version of The Government Inspector. I wanted to gather around me a brilliant group of actors and put them in a brilliant play. And this plays allows your individuality to shine because it needs eccentricity but it doesn't need explanation. The world of this play is quite eccentric and the people in it are eccentric. So the diversity of the casting makes the play even better. You don't have to explain a deaf judge or the signers being integrated because the eccentricity of the play allows it." Roxana feels now is the ideal time to resurrect the play which tells the tale of a small town in Russia which is run on corruption. When the Mayor learns a Government Inspector is coming to visit he is determined that the official will not discover the truth. "In a way the play is timeless because it's about corruption and corruption is timeless," she says. "But also Gogol is really investigating corruption of the soul. It's about how all of these characters in the play know they are not authentic. They all have a terrible sense of the person they would like to have been. The tension is between who they turned out to be and who they could have been. So it's about the corrupt soul creating the corrupt society and I think that's so fascinating." She adds: "And that's a real tension in society today because at the same time as people are trying to be authentic by doing yoga or drinking juices they're paying to have their faces carved up and refusing to age. Society is very aspirational economically and socially so it's a very interesting time in what it means to be authentic." Directing such a diverse cast and ensuring full integration has not been without its challenges. Roxana says:"It has been an enormous learning process. There are also things that constantly take you by surprise, for example there's a whole scene where someone is listening at the door and then you realise that because the actor is Deaf, he wouldn't be listening at the door! These are all little details but you suddenly hit them because you don't have a sense of people's limitations in that rehearsal room, you only have a sense of their endless possibilities, and you just suddenly trip yourself up." But she adds: "What has been difficult is that I feel like I'm directing three shows. I'm directing a play for the mainstream audiences, I'm directing a play for deaf and hearing impaired audiences and I'm directing a show for blind and visually impaired audiences. And I'm trying to make the experience for each of those audiences as full as each other. And that is difficult because there's only one of me. The show needs to feel as integrated as possible so that if you come and see it as any type of audience you feel you are getting one show and what those different components do is add to the production and not confuse it. That's the challenge of the directing job in this show. But I do have enormous support from other team members who have specialist skills and knowledge. They have really helped. And when it works it makes everything very alive and present." 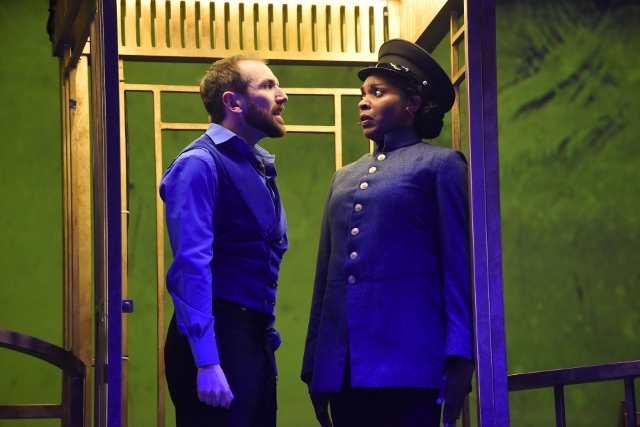 Ramps On The Moon resulted from the successful tour of an integrated production of Brecht's Threepenny Opera in 2014. Created by Graeae and the New Wolsey Theatre in Ipswich, the production, which toured to Birmingham, Nottingham and Leeds, highlighted just what was possible. Roxana recalls: "The idea of doing large main house integrated shows and trying to make them the norm was born out of the conversations around that show and when we started talking about it there were some theatres who really wanted to do it and came on board. For a long time, as an industry, we haven't paid enough attention to including deaf and disabled actors into the mainstream. It's beginning to happen and in ten years' time I hope the industry will be unrecognisable in that respect. I'm really proud that we are among the first to be doing it.The talent is there because companies like Graeae have been developing this talent for a long time, it's really just about opening the doors." Why? Is this the future of theatre?